Carpet stains are inevitable. If you have pets, children, or food in your carpeted home, you will soon have spots on your floor that didn’t use to be there. Fortunately, all is not lost. There is a solution to every mess in life, even the ones that seem permanent, and we will show you how to clean stains from your carpet. Puppies and kittens are a blast, but they often bring with them unwanted odors and carpet stains. How do you deal with a house-training pet? Whether it’s fresh and dry, there are several simple ways you can clean pet urine out of your carpet. 1. Clean spots with a detergent solution. Soaking the area for up to 15 minutes with a mixture of dishwashing soap and warm water is a great way to gently wash away pet urine. Rinse the soap with more warm water and pat dry. 2. Sanitize with a vinegar solution. One part white vinegar mixed with one part water is great for sanitizing. 3. Treat with an ammonia solution. Another option is to mix one tablespoon of ammonia with one cup of water. This can miscolor your carpet if the proportions are wrong, so test it on an area that is not visible. Cold water sets stains, so when you are rinsing a solution, always use warm water if available. Are all Carpet Stains the Same? Clean it up quickly. The longer you wait to do something, the deeper the stain sets, and the more difficult it will be to remove. Check the ingredients of your stain (the back of a juice bottle, bag of dog food, etc.) for dyes. Many people tackle grape juice stains and dog vomit stains (both full of dye) with home remedies that actually make the stain worse. Don’t scrub with water. Water often helps the stain instead of halting it. If you’re handling a nail polish spill, grape juice spill, or anything that will color your carpet, do not tackle it with water. Instead, gently blot the excess with a towel and go in with a solution. Then, rinse with warm water. Don’t assume every stain is permanent. Dirt in high-traffic areas is not likely to permanently stain your carpet. Investing in a few rugs, vacuuming regularly, and rinsing with a standard carpet cleaner/warm water should keep the dirt on your floor clear. It is important to remember that not all stains are the same, and can be treated using home remedies. Sometimes, it is far more beneficial to call in a professional to take care of the problem for you. When and Why You Should Call a Professional. As already mentioned, stains with dyes are particularly stubborn. Sometimes, warm water and dishwashing soap just don’t cut it. If your actions don’t appear to have an effect on a stain, call a professional carpet cleaner for help. In an age where we can pull up answers and DIY remedies at the click of a button, it’s easy to think professionals are no longer needed. Nevertheless, a carpet-cleaning professional might be able to save your white carpet from the merciless actions of children, pets, and red wine. It is far better to call for assistance and fix the problem than to have a permanent mark on your carpet. If your carpet is wearing a new spot or color, do not despair. There is a solution, whether it be homemade or at the hands of a professional. 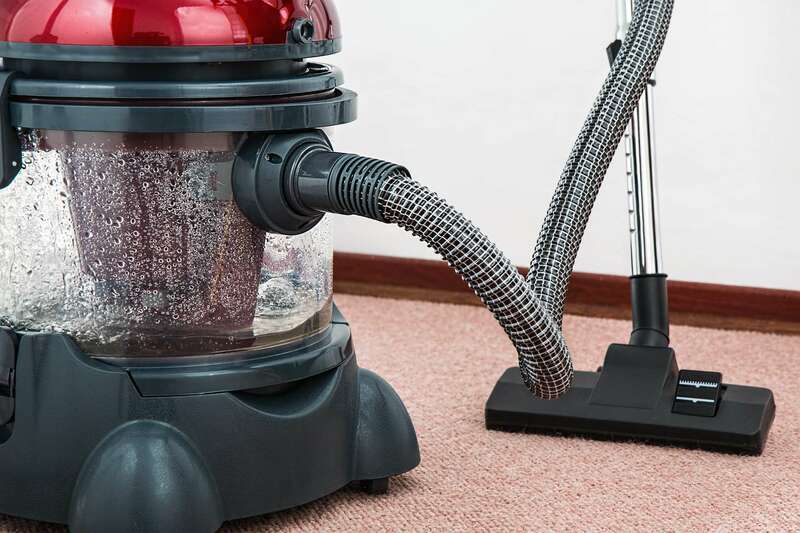 Always do your research before attempting cleanup, or contact Spectrum Carpet Cleaning for advice and assistance.